I guess a "smart" Memoize operator could know when it can abandon items if told beforehand how many enumerators are going to enumerate over it. Then, it can track each enumerator, and whenever the last enumerator is moving to the next item it should abandon the previous item. That's right but not quite as smart as one would expect, since you still need to tell how much enumerators are going to consume the resource. 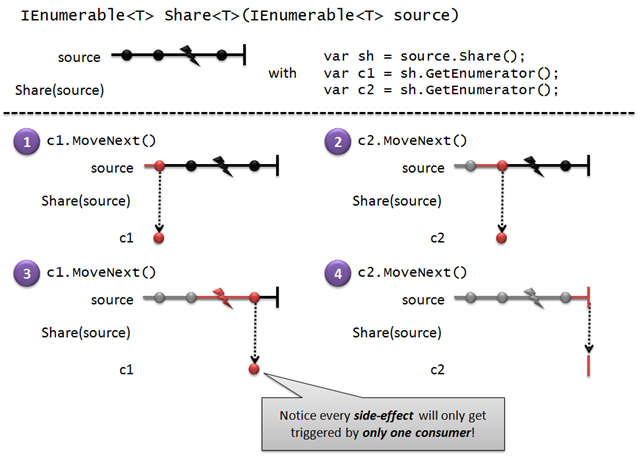 However, inferring that is not feasible because of various operators having a dynamic behavior with regards to the number of iterations that are going to happen (e.g. 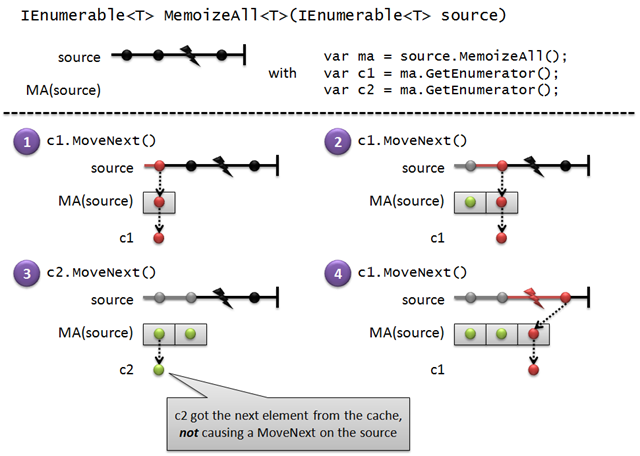 SelectMany where the source is used in the selector lambda body). 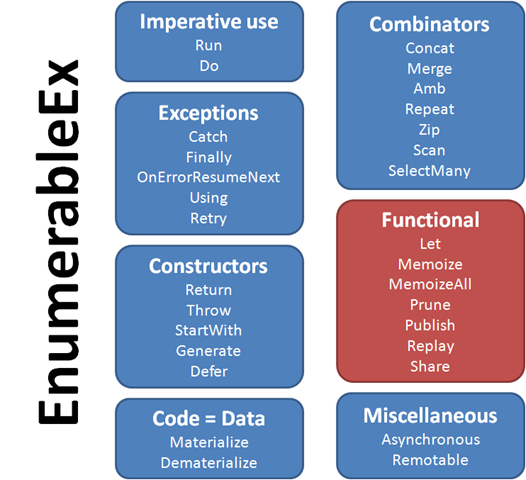 That was exactly my suggestion: telling the Memoize operator how many enumerators are going to iterate over it. It is not worse than telling it how long a buffer it should have, and might be more intuitive in some use-cases. I guess that calls to GetEnumerator beyond the given limit should throw. Fewer calls than the limit is a harder problem (which I have no solution for) - the buffer could grow indefinitely. 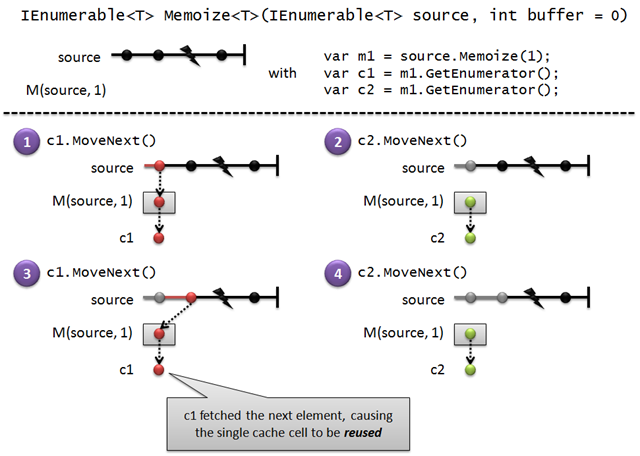 Implementing this "smart" Memoize shouldn't be so hard (especially for smart people like you).